Thirteen-year-old Layla has landed a scholarship at a prestigious private school where no one looks like her. She’s a creative kid who loves singing and making jewellery, but many of her classmates see only the colour of her skin. Will she prove her worth to everyone—including herself—at the big robotics competition? Activist Yassmin Abdel-Magied’s first foray into children’s writing is brimming with social justice passion, punctuated on every page with millennial slang that will delight internet-savvy kids. Layla’s family speaks in their native tongue throughout and it’s fantastic to see this representation within a middle-grade novel. 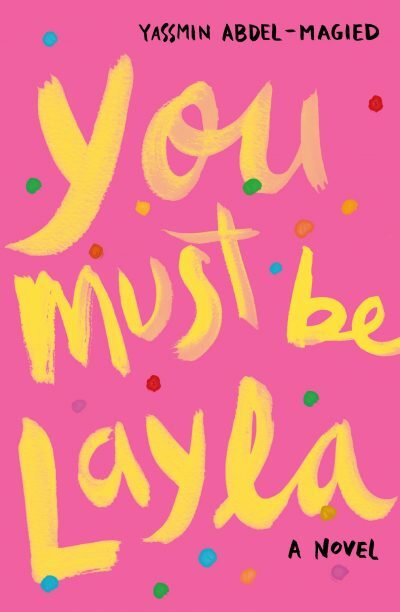 Questions and lessons of morality are critically necessary within children’s fiction, but You Must Be Layla feels a little didactic: some plot points are too convenient, and it tries to tackle too many hot-button issues at once, with the ending wrapping it all up a little too neatly. Although Abdel-Magied’s prose sometimes struggles to flow naturally, at its heart, this is a noble debut with a likeable protagonist who exudes the kind of confidence that young girls need in literary role models. Layla’s fast pace and triumphant narrative will keep eager readers engaged, as well as introduce progressive concepts that will shape their world view.